Another painting that I recently sold is leaving my studio. 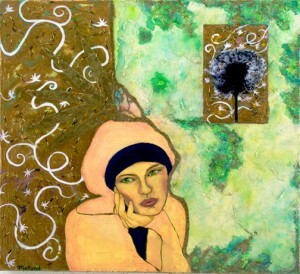 I named this painting in honor of Bob Dylan’s 70th birthday after his famous song. This spring in Santa Fe, however, with it’s incredibly strong and constant winds give new meaning to the title. There are dried marigold seeds embedded in the gold.